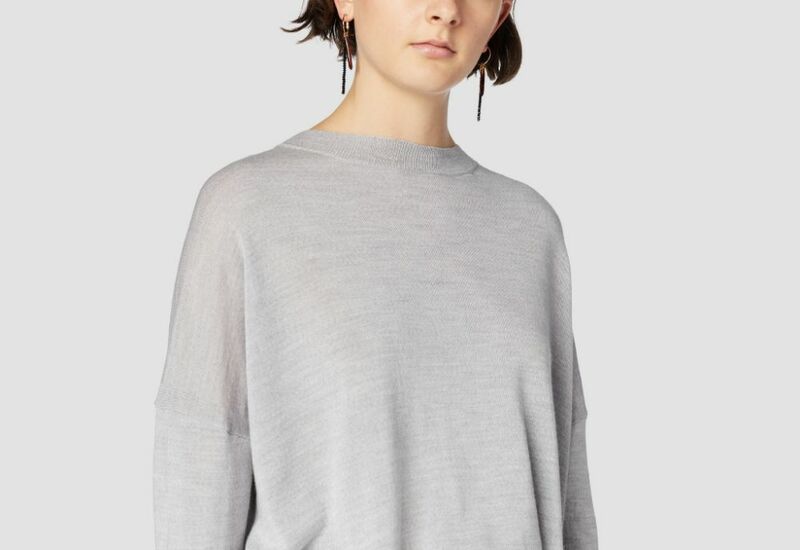 Boxy grey silk-wool pullover with deeply stepped hem. 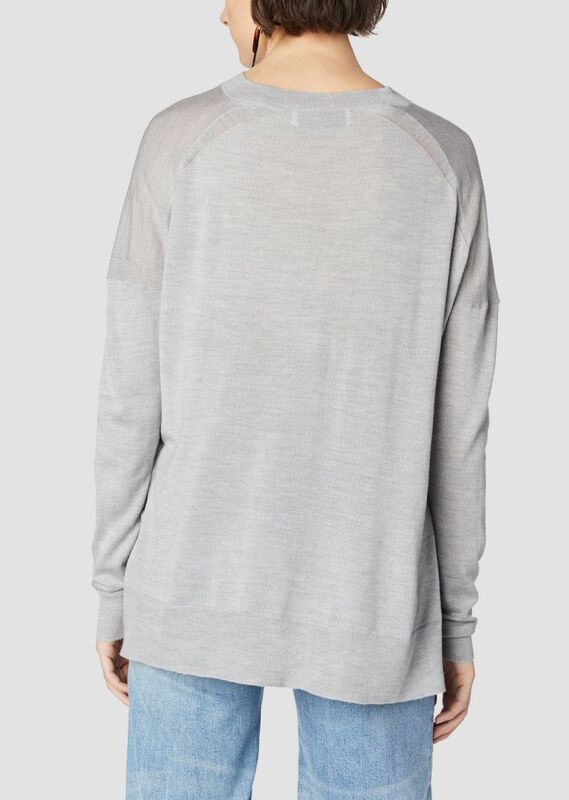 Ribbed at crew neckline, cuffs, and hem. 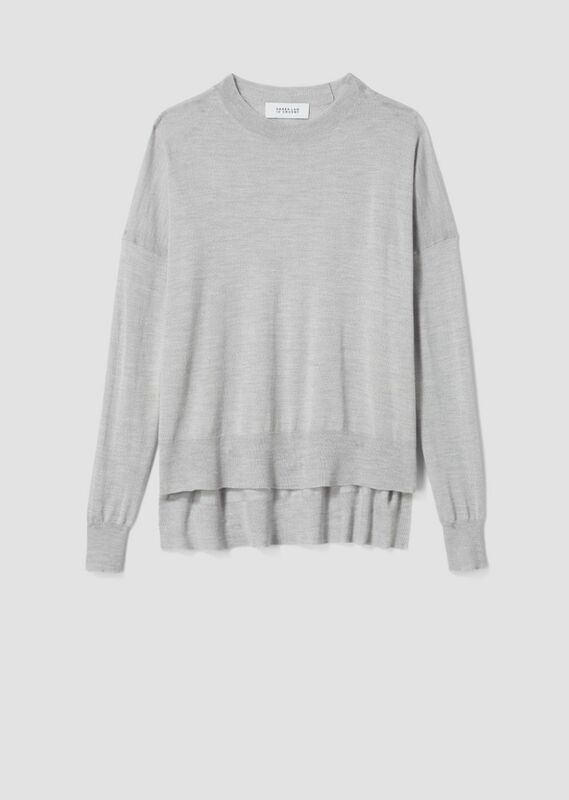 Tonal stitching. Imported.